www.searchingforreason.net : BLAST FROM THE PAST: PRESIDENT OBAMAS IMMIGRATION SPEECH- WHAT DOES HE ACTUALLY SAY? PT 1. BLAST FROM THE PAST: PRESIDENT OBAMAS IMMIGRATION SPEECH- WHAT DOES HE ACTUALLY SAY? PT 1. 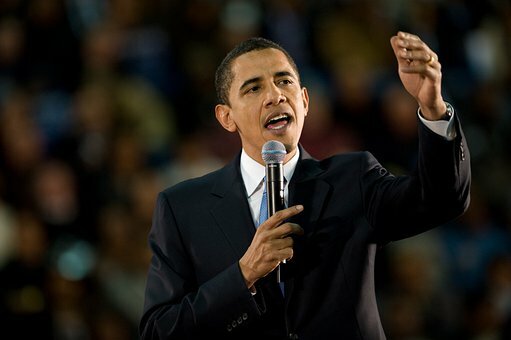 INTRODUCTION: AS THE U.S. CONTINUES TO GRAPPLE WITH DONALD TRUMPS "POLICIES," I THOUGHT A TRIP DOWN MEMORY LANE WOULD SHOW US HOW THEN PRESIDENT BARACK OBAMA ATTEMPTED TO ADDRESS THE IMMIGRATION PROBLEM. Let's try a Novel Approach. Ignoring what the Political Pundits on Television and the Radio Have to say, and actually READ THE TRANSCRIPT FROM PRESIDENT OBAMAS IMMIGRATION SPEECH. It is available online. So, if you are interested, why not Download it, before passing Judgment. The following Posts on this Topic, are my Thoughts and Opinions taken directly from the Transcript. He opens by praising the Two- Hundred Year+ History of the U.S. welcoming Immigrants from around the World, and the Advantages it has given the Country over other Nations. "...Today, our immigration system is broken, and everybody knows it. Families who enter our country the right way and play by the rules watch others flout the rules. Business owners who offer their workers good wages and benefits see the competition exploit undocumented immigrants by paying them less." - The President is acknowledging the State of the Immigration System, AND THE NEED FOR IT TO BE FIXED. - That the way the system is currently operated victimizes; Legal Immigrants who follow the Law, and Honest Business Owners who offer good wages and benefits, who see competitors using undocumented workers to save money. "All of us take offense to anyone who reaps the rewards of living in America without taking on the responsibilities of living in America." - In other words, the Advantages and Responsibilities go hand and hand. With one comes the other. Bulletproof Backpacks. Virginia House Democrats. TAX DAY. U.S. REPRESENTATIVE DAVID CICILLINE. SELECTED ARTICLES AND POSTS FROM THE WEBSITE. IT'S NOT JUST "GET RICH QUICK " SCHEMES ANYMORE. PRUITT. U.S. REPRESENTATIVE DAVID CICILLINE. THE WORLD OF CRYPTOZOOLOGY. PT 1. AN EMBARRASSMENT. U.S. SENATOR JEANNE SHAHEEN. FEATURE ARTICLES- THE SEARCH FOR TRUTH. PT 1. FACING THE TRUTH: THE COST OF HATE. PART 1. ETHICS AND MORALITY. HEALTH CARE. PT 1.